ProCare Therapy Services offers a full range of therapy services for adults, teens, and children. Our therapy practice is conveniently located on Park Avenue in Cranston. Whether you require Adult or Pediatric services, we can provide you with the best Physical Therapy, Sports Rehabilitation, Occupational Therapy, and Speech Therapy available. What I like the most about the therapy is the personal connection, the patience, and the specialized treatment for my injury. I wasn’t getting that at the other clinic; I was actually told that I would never be “normal” again during my third visit. I’ve never been closer to normal than now after weeks of working hard with the amazing therapists ProCare Therapy Services put me with. …I elected to go to ProCare Therapy Services for the continued rehabilitation…. Every single step helped me and I was amazed at my progress each week. I think without Jen’s caring and motivation I would have had difficulty with the whole thing. She has this amazing way of explaining pain, how to deal with it and, most importantly, what to do every day for the entire rehabilitation process. At ProCare Therapy Services you’ll find highly trained, compassionate and dedicated professionals who are sincere in their efforts to provide you with the absolute best personalized care. It is our goal to ensure that your time with us exceeds your expectations. A unique quality of our practice is that we have a team of therapists with a diverse range of education, training, and experience in various therapies. This allows us to provide services for adults, teens, and children with a wide variety of injuries, disabilities and complex conditions. Whether a patient has a lifelong condition or has suffered a sports-related injury, ProCare Therapy Services has the team and the technology to provide superior care. 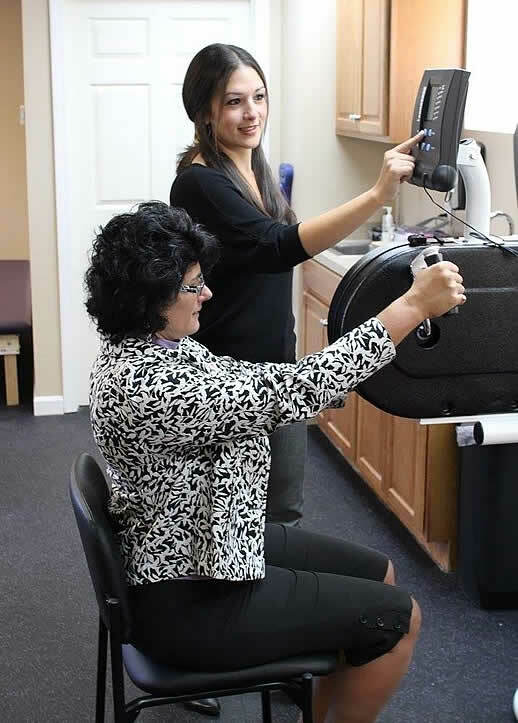 ProCare Therapy Service's Physical Therapists are licensed professionals whose primary goal is to develop, maintain and restore movement and functional ability. Our physical therapists work to restore your mobility when it's hindered by injury, disease, or the natural process of aging. ProCare Therapy Service's occupational therapists help each patient recover his/her ability to live independently by focusing on Activities Of Daily Living (ADL’s). We strive to maximize our patients' ability to manage a home, shop, clean, dress, groom, cook, and maintain good hygiene. Copyright © 2018 ProCare Therapy Services. All Rights Reserved.